Georgios Valerianos is two-footed just as 14% of Aris Thessaloniki FC. Georgios Valerianos played 17 matches this season. Standing 1.76 meter high, he is tinier, when looking at the average height in his team. 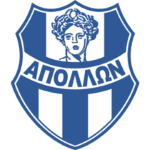 The club of Georgios Valerianos, Aris Thessaloniki FC, presently holds fifth position in Super League (Greece) and third position in group Gr. 4 of Greece Cup (Greece). Greek, Modern (1453-) defender Georgios Valerianos, who is currently under contract to Aris Thessaloniki FC in Greece, joined the club July 25, 2017. The 27-year-old footballer was born on February 13, 1992 and is therefore one year younger than his team's average age. Just seven days ago he played his latest match. 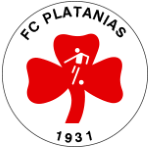 Georgios Valerianos managed to attract a lot of good feedback after his performance at AO Platanias, the team he was subjected to before joining Aris Thessaloniki FC. He impressed in Football League 16/17 (Greece), reaching his personal record of match appearances.The Football League 13/14 season was quite difficult for Georgios Valerianos, as he ended up reaching his personal lows in terms of the number of received cards. To date, collectively he holds 35 penalties, of which one is red. Lately, he seems to be more quiet since less penalties were given to him than usually. Weighing 143.3lb, he measures 21lb less than the average player on Aris Thessaloniki FC. 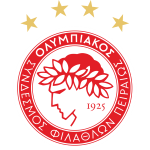 Ever since Georgios Valerianos became a professional, he has been committed to overall seven clubs. 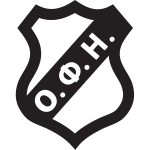 While being substituted more in than out this season, the contrary occured the year before. Moreover, he shows eleven out and 18 in substitutions in total. He wears the number 15 strip at Aris Thessaloniki FC. 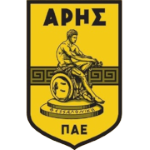 Five months was the stubbiest period that Georgios Valerianos was contracted to a team (AO Platanias from Greece) He is playing as defender in Aris Thessaloniki FC together with Petros Bagalianis, Georgios Delizisis, Mihaly Korhut, Fran Velez, Dimitris Konstantinidis and Lindsay Rose. 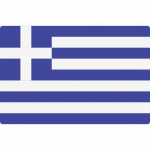 Further, he also operates for Greece. With each day at Aris Thessaloniki FC, Georgios Valerianos is extending his personal record stay with a club which counts two years and 7 months for the time being. 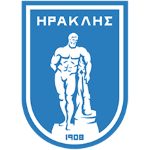 In terms of winning, his team was able to do so in 60% of Super League's and in 33% of Greece Cup's matches.